It was foreordained: I was born the product of two verbal people. My father, who wished to be a historian but ended up a trial lawyer (perhaps the same thing, except for the income), could—and did—recite Shakespeare at length. He wrote occasional poetry at the drop of a hat and was therefore called upon to versify for friends’ and family events of all types. My mother was said to be gifted as a writer in college, although she came to produce other things later in life (like three daughters). Not surprising, then, that I should have escaped into a world of beloved books (all of Marguerite Henry; The Borrowers; Nightbirds on Nantucket) as a child, and then tried to write some of my own. In college, the poetry spigot turned on, and no one could get it shut until it did so of its own accord some three decades later. In 1984 I bought my first motorcycle. From the moment I began to ride, I wondered what caused this great joy. What was it about? If I wanted to know what I thought of anything, I had to write about it: The result educated me as much as it did anyone else. So without knowing that it would end up as my first published book, I started writing notes that began in a bubbling up of passion and curiosity and finished with The Perfect Vehicle. The common thread leading to my second book, Dark Horses and Black Beauties, was the attempt to chart a human obsession, in this case the inordinate love of women for horses. That book is also as close as I have yet to come to a manifesto on what appears to me to be a fatal blindness in our treatment of the animals we call friends—as well as those we call food. Who knows. Someday I may find a way to write about a subject so difficult it seems particularly resistant to being written about in a way that people will want to tread. A similar difficulty challenged my third book, The Place You Love Is Gone, which I think of as a Valentine to the places I have called home, the places that made me (and that are now largely destroyed by overdevelopment). Everyone, alas, has a similar story. When a personal crisis in 2007 changed much of my world—a world that had come to be inhabited by my son (born in 1999), my dogs, an old farmhouse in the country, and piecemeal writing work that included book reviews, travel articles, and basically anything I could put my hand to—something radical was called for. 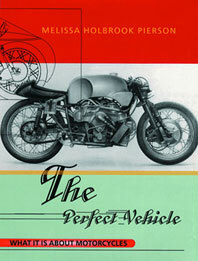 That something turned out to be an old friend: motorcycles. One very persistent person from the past, John Ryan, offered the suggestion that motorcycles were the answer to any question I might have about how to proceed. And darned if he wasn’t right. In the process, I gained the subject of that book: Ryan himself. Perhaps the world’s most formidable long-distance rider—a man I think of as the Sir Edmund Hillary of motorcycling—Ryan’s story, as told in The Man Who Would Stop at Nothing, is one of perseverance, determination, and mastery. Not only in motorcycling, but in life as well. May he rest in peace. 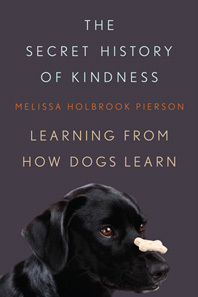 And then the new book: The Secret History of Kindness. Sometimes I amuse myself by trying to recall all the things I’ve written that have ended up between hard covers. I think I’ve forgotten more than a few. But somewhere out there, perhaps gathering dust on the shelf of a small-town library, are books with titles like O.K. You Mugs; Taking Things Seriously; Howl; and All the Available Light. It’s odd to be a writer. Things fly away. Maybe some are still caught in nets somewhere. You will never know. But it’s also to feel such great possibility, when the final word is put down. It will fly away! I am lucky. Lucky to live in this particular world at this particular time, the Catskill Mountains of New York in the early twenty-first century. Lucky to have a son who surprises me daily—and who wants to be a historian and a writer. Lucky to be heard by you.